As women, our brains are easily influenced by our hormones. When your hormones are balanced, you feel great. You have energy and you’re on it. But if your hormones are off — whether you’re low in estrogen or progesterone, or high in either of them — you’ll feel tired and moody, and you’ll have trouble making it through the day. If your hormones are out of balance for too long, you may even end up with meds for focus, anxiety, or depression. As an integrative physician, I’ve treated thousands of women with hormone imbalance over the past decade. 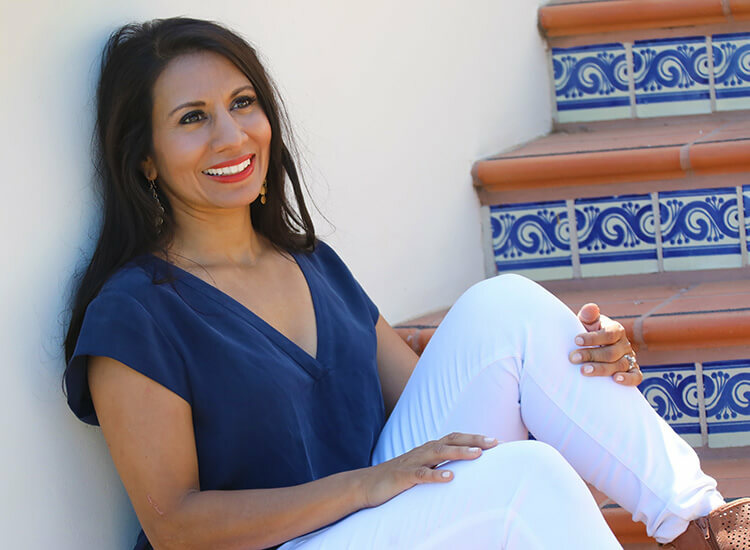 In this article, I’m going to share the five most valuable things you can do to balance to your hormones naturally and restore your health. If you think your hormones might be out of balance, the first thing to do is get a hormone test. There’s no substitute for knowing exactly where your hormone levels are. Once you find out what’s out of balance — whether it’s high estrogen, low progesterone, high cortisol, or something else — you can start to correct it. Hormone testing is easier and more affordable than ever. I recommend a DUTCH test; it’s accurate and comprehensive, and is one of the most inexpensive hormone tests on the market. It also tracks hormones in your urine, which means you don’t have to get blood drawn or deal with needles. You don’t need a prescription either — you can order a DUTCH test online. Your hormones change a lot throughout your cycle. Paying careful attention to how you feel can give you insight into how your hormones shift throughout the month. Track the moments in your cycle where you feel tired or foggy. If it’s days 1-14, then it might be an estrogen imbalance. If it’s days 15-28, it’s more likely that your progesterone isn’t quite where it should be. My Hormone Helper supports healthy estrogen and progesterone levels and can help you find balance, easing menstrual symptoms like hot flashes, bloating, and irritability. Olive oil, which helps balance progesterone . Seeds like flax, pumpkin, and sesame contain lignans that regulate your estrogen levels . Your body weight has a major impact on hormone balance. Being underweight or overweight makes it harder for your body to produce the hormones it needs to function. The closer you get to the optimal range of 21-31% body fat, the better you’ll feel, and the more your body will be able to regulate your hormones. If you’re struggling to lose weight, there could be a better way to approach it. Try reading these five reasons you may not be losing weight. Your body recovers and replenishes important hormones while you sleep. If you fall behind on sleep, your cortisol, estrogen, progesterone, and insulin all fall out of balance, which can affect your mood, stress levels, metabolism, and more . Black out your room with room-darkening curtains, and get rid of or tape over any light sources (even your internet router and alarm clock). Your goal is to make your room so dark that you can’t see your hand in front of your face. Sleeping in complete darkness encourages you to release melatonin, a hormone that regulates your mood and affects your cycle . Avoid electronics before bed. They give off blue light that breaks down melatonin and inhibits deep sleep, making it harder for you to get a healthy night’s rest . Take a sleep supplement to support your natural daily rhythm and sink into the deeper, more restorative stages of sleep. My favorite is Sleep Savior — it contains melatonin, magnesium, and other compounds that help you sleep better, as well as stress-relieving herbs and ingredients that ease anxiety. Deep, restorative sleep is essential to balancing your hormones and managing stress. Make sure you get plenty of sleep; you deserve it. Use these tips to balance your hormones naturally and get rid of brain fog and fatigue. 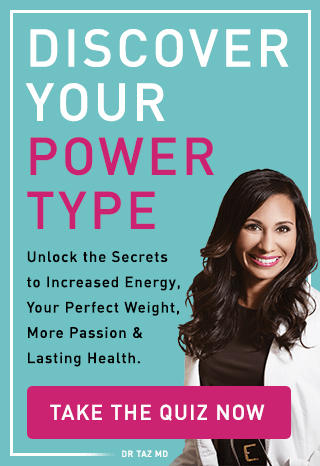 To learn more, try taking my free Power Type Quiz. It can help you figure out how to support your unique body and become your superpower self.